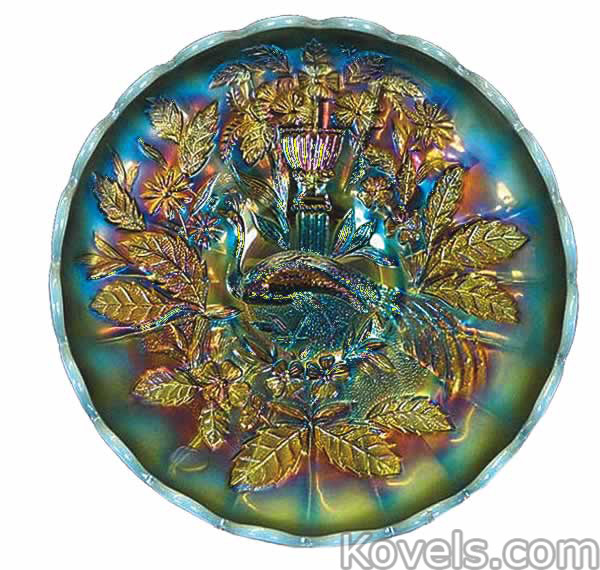 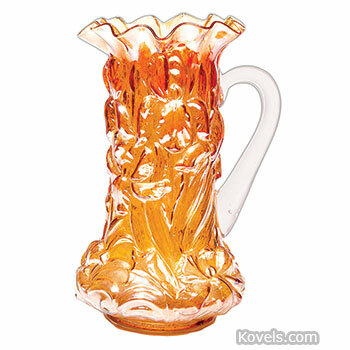 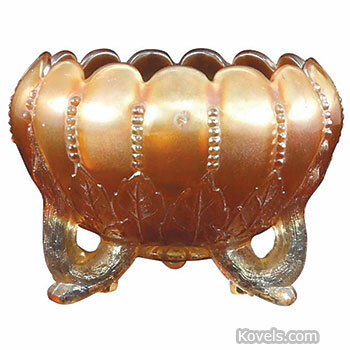 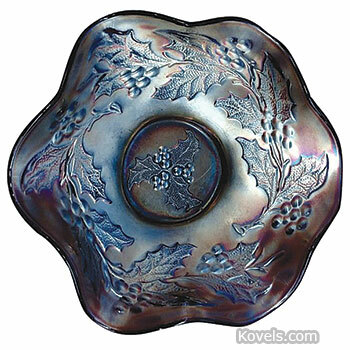 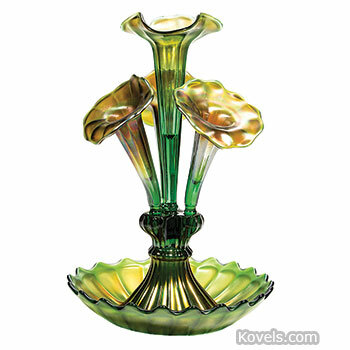 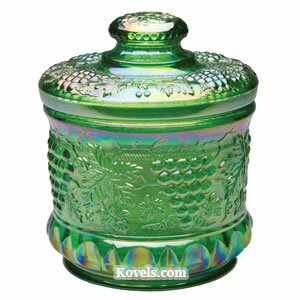 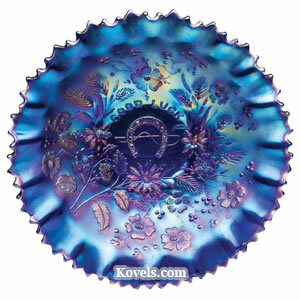 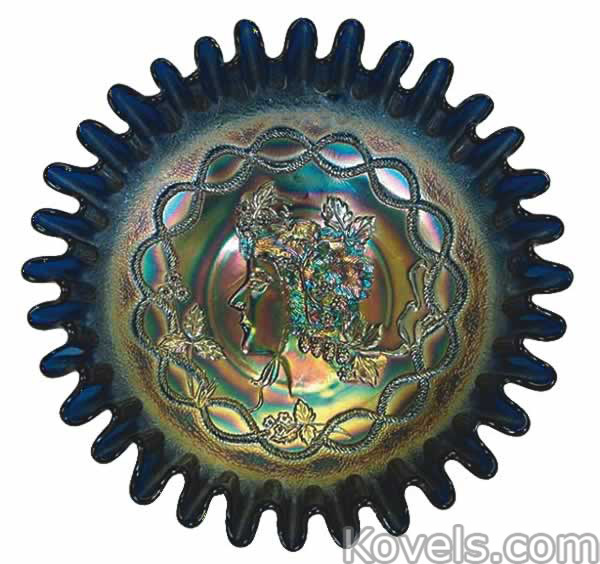 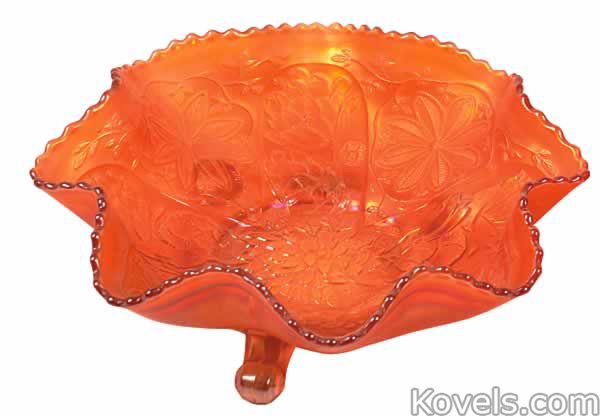 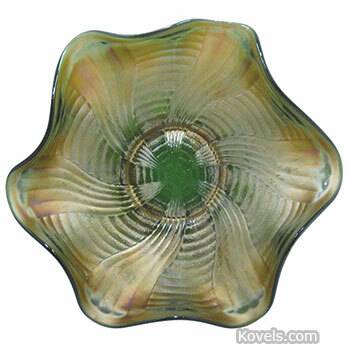 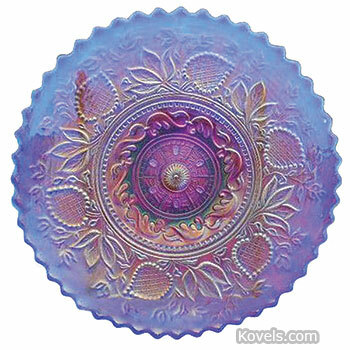 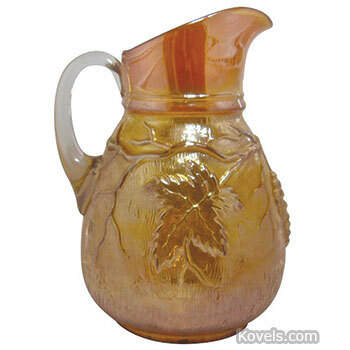 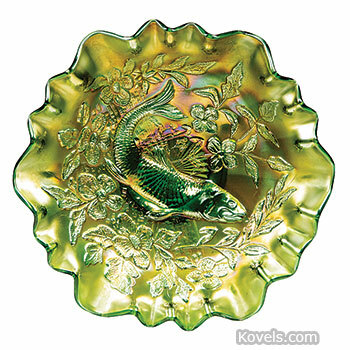 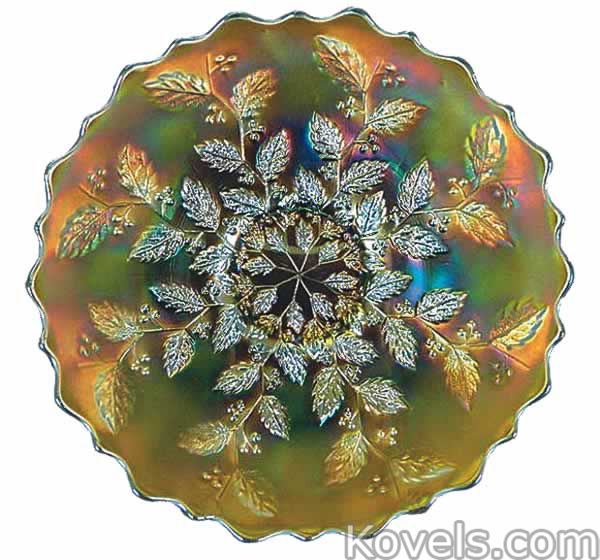 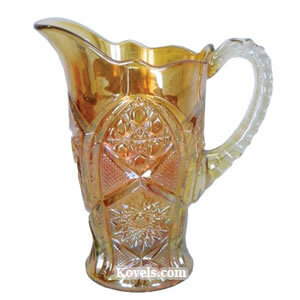 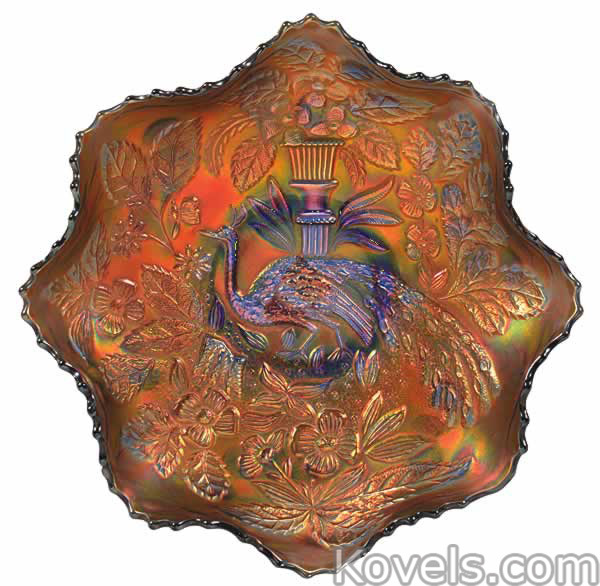 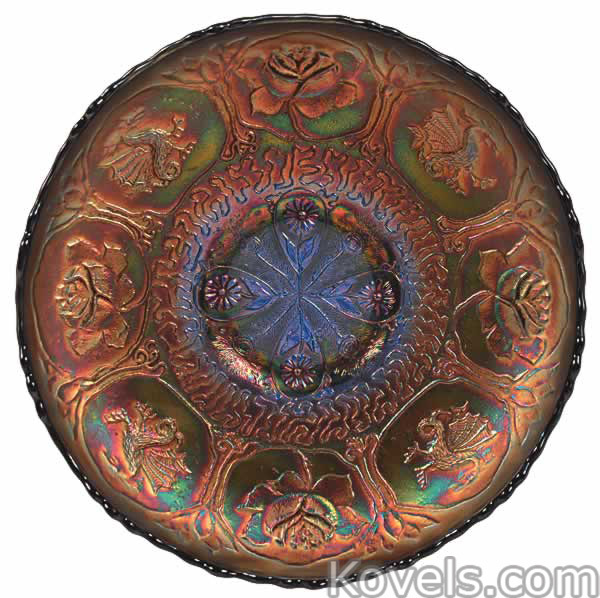 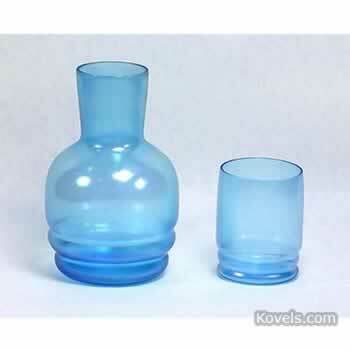 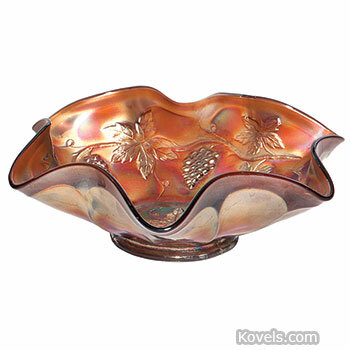 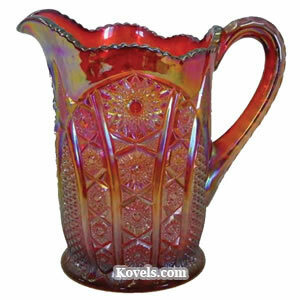 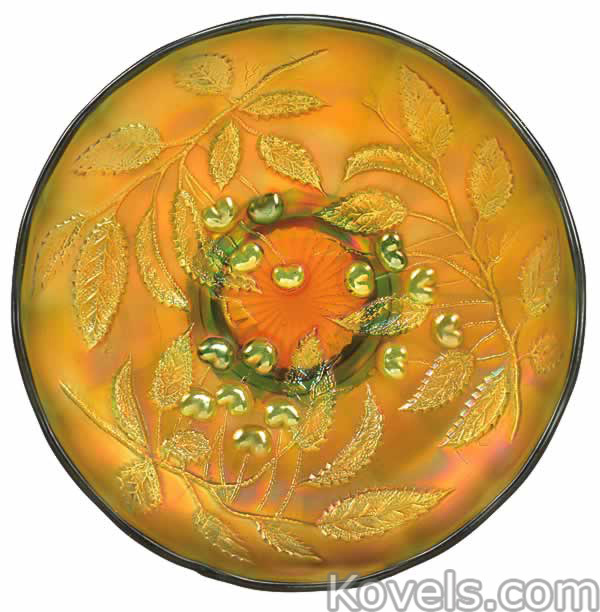 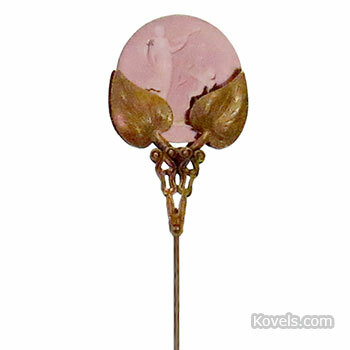 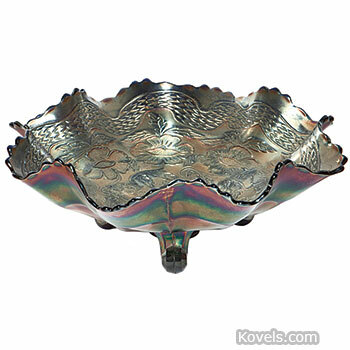 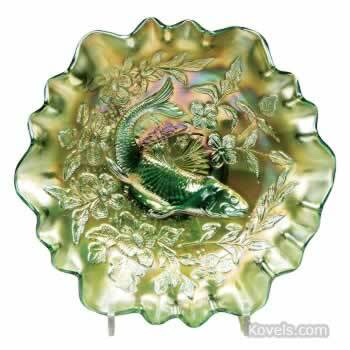 Carnival glass was an inexpensive, iridescent pressed glass made from about 1907 to about 1925. 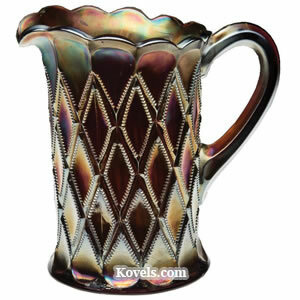 More than 1,000 different patterns are known. 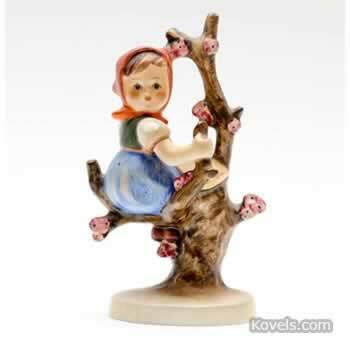 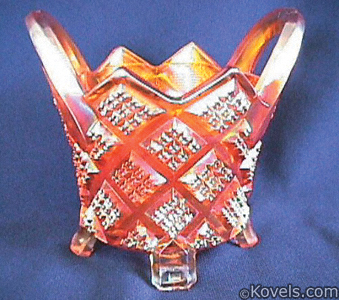 In September 2014 an important collection was sold and resulted in very high prices. 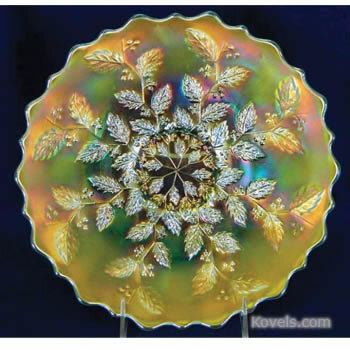 Some of them are included here. 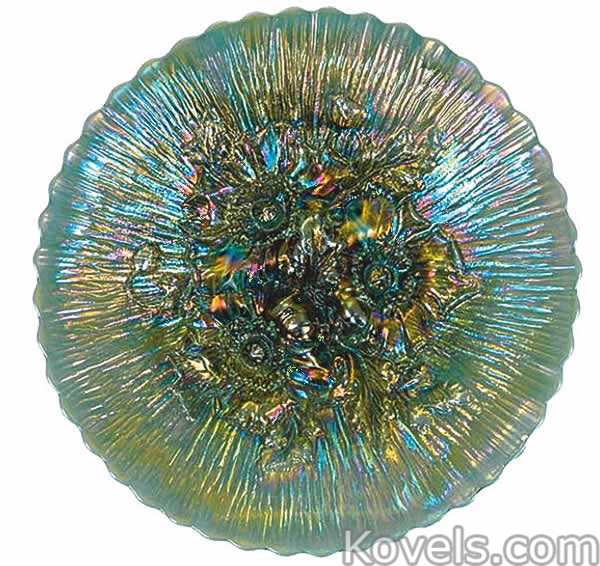 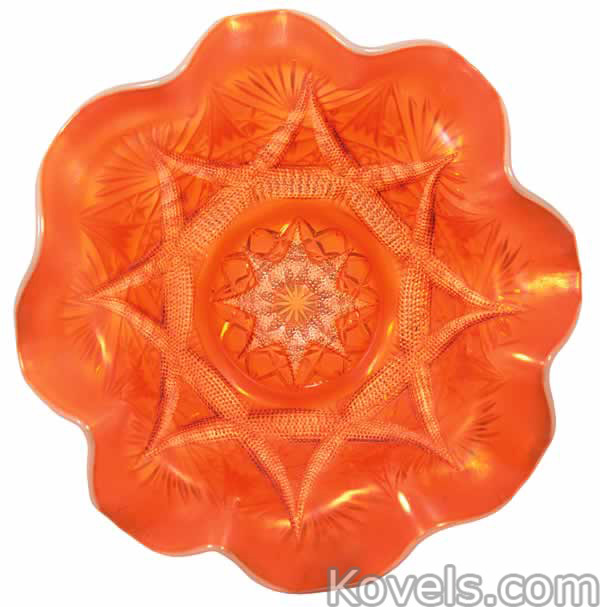 Carnival glass is currently being reproduced.